Pressure washing is a common method for keeping the exterior of your home clean. But pressure washing can do much more for the aesthetic appeal of your property. It is also highly-effective at cleaning exterior concrete, especially driveways. Pressure washing delivers several benefits that support investment protection and structural longevity. Continue reading to learn these benefits, and who to call for professional pressure washing services you can trust. It is important to keep your concrete driveway clear of damaging elements and products, such as grease, oil, grime, salt, and chemicals. Routine driveway cleaning will protect your concrete from premature wear and tear, which is good for your wallet and your vehicles. Pressure washing is one of the best strategies for driveway cleaning because it is quick, uncomplicated, and effective. All of this adds both beauty and value to your home. 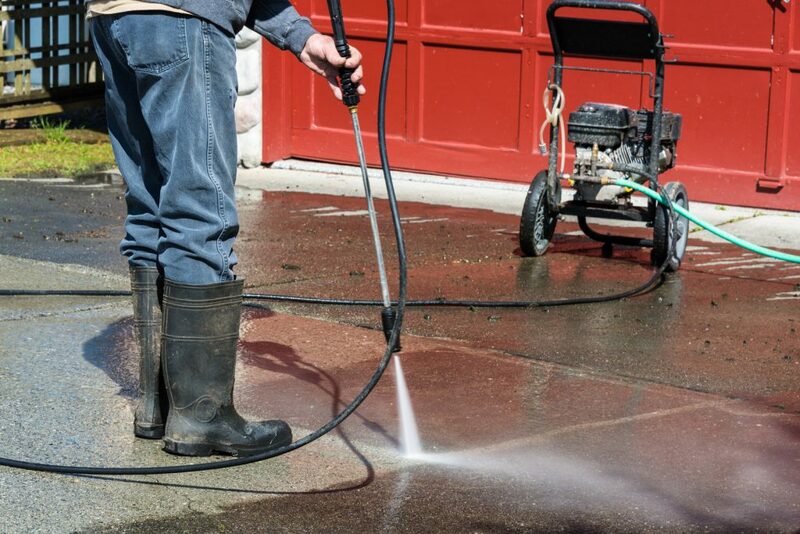 In fact, regular pressure washing can increase your property value by thousands of dollars! It is wise to hire a professional company to provide pressure washing service for your driveway. Not only do they have the training and experience to implement the job efficiently, they already retain the proper tools and equipment to get the job done right the first time around. They also have the proper resources to meet the state’s pressure washing disposal requirements. Power washing a driveway includes the use of eco-friendly chemical-free cleaners, brighteners, and low pressure washing strategies. Surfaces are generally pre-treated with a concrete brightener, saturated with concrete cleaner, thoroughly rinsed with a power washer, treated once again with an eco-friendly cleaner, and then given a final pressure rinse. This practice effectively removes dirt, grime, stains, discoloration, and more. Call Restoration By L & B, LLC at 317-454-3612 for professional concrete restoration and repair in Indianapolis and its surrounding areas. We offer a full-range of concrete construction services and related developmental management services for all properties and residences. No matter how small, large, or complex your concrete needs may be, our skilled and experienced contractors can deliver the proficient results you expect using innovative designs, quality materials, and professional service. Request an estimate, anytime. This entry was posted in Concrete Contractors and tagged Concrete Contractors Indianapolis, concrete driveway pressure washing, concrete repair Indianapolis, concrete resurfacing Indianapolis, concrete work indianapolis, driveway repair Indianapolis, pressure wash driveway. Bookmark the permalink.